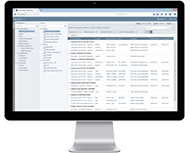 productivity, help you manage your regulatory activities, comply with the EVMPD requirements and generate management reports on-the-fly. A versatile, low-footprint multi-user system to manage all your regulatory activities, including the new EVMPD requirements. Never miss a deadline! Create management reports on-the-fly! drugTrack is based on years of experience and was originally developed together with a pharmaceutical company to satisfy their regulatory tracking needs. If you are tired managing your products and activities in spreadsheets then drugTrack may be for you. Spreadsheets, whilst initially practical, are inherently unsafe: data can be changed accidentally with no control, multiple versions of the same sheet can travel around a department and/or company, and a spreadsheet does not actively manage your upcoming tasks with alerts. You will likely have collected data (regulatory data, EVMPD data, etc.) on your submission registrations and activities in a variety of different places: spreadsheets, calendar entries, and handwritten notes. Do not worry! This is normal. As part of our deployment, we will analyze your existing data and help you migrate it to drugTrack. Whether you just need a solution for EVMPD, you want to track your entire regulatory life cycle or you want to have it all: drugTrack comes in all flavors. Easily create management reports on all aspects. LORENZ drugTrack integrates with Microsoft® Office and allows you to create endless reports. drugTrack ships with a number of pre-configured reports, but you are able to create your own, custom reports as well!